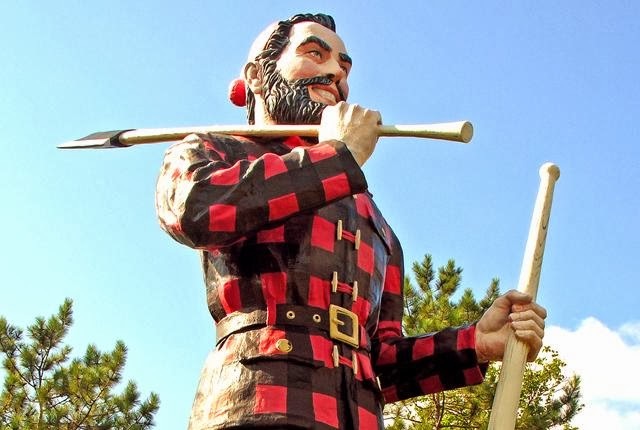 According to legend, the greatest Bunyan that ever lived was born on this day in Bangor, Maine way back in 1834. But don’t say that out loud in Bemidji, Minnesota. They insist that the big guy sprouted from their colossal cabbage patch. Then you have the Michiganders who staked their Bunyan claim in 1938. But clearly everybody wants a piece of the Paul Bunyan action. I mean, the guy had a blue ox. He dug the Grand Canyon… with his ax! He stomped all over Minnesota to make 10,000 lakes. And Mount Hood was formed from one of his old campfires. Well, Minnesota and Michigan, you can duke it out all you like, but you might want to consider that Maine residents are often referred to as Maniacs. And nobody messes with the King. PROMPT: Celebrate the Bunyan by writing your own tall tale today. Need some inspiration? Check out this great site for some fabulous American folklore.